Microcosm 1973 Employee Training Video unearthed! 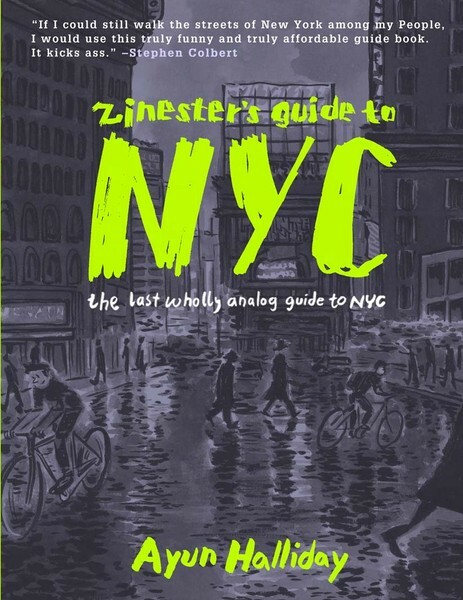 Calling all filmmakers, animators, and folks with a penchant for screwing around in iMovie: We invite you to celebrate the publication of our low budget, highly participatory, illustrated, anecdotal guidebook, The Zinester’s Guide to NYC, by creating an original online book trailer. The winner will be showered with analog prizes courtesy of Microcosm Publishing and Ayun Halliday, the ZG2NYC‘s primary contributor. Your video will also be given a permanent place of honor on Microcosm & Ayun’s websites. The ZG2NYC is for folks who crave participation, the offbeat, and a dirt cheap deal! They’re creative, just like you! They ride bikes, love a parade, and dress funny on purpose. You have until December 15 to upload your video to Vimeo and send the link to ayun@ayunhalliday.com (please cc joe@microcosmpublishing.com). Live action, animation, puppets, a slideshow – anything goes. NYC’s awesome and beloved Hungry March Band has graciously given us permission to offer their song, “Jupanese JuJu” as a soundtrack – or write your own. You can order a copy of the book here, or from any number of online vendors, or ask your favorite indie bookseller to lay one in for you – they will be available November 15. Support indie booksellers by ordering the ZG2NYC from them! You must have the rights to all photos and video clips used in your video. If you’re not NYC based, try searching photo sites for NYC-specific photos with a Creative Commons license. Please help us spread the word by forwarding this to your friends, posting it to your blogs, and just generally smearing it all over the Internet. 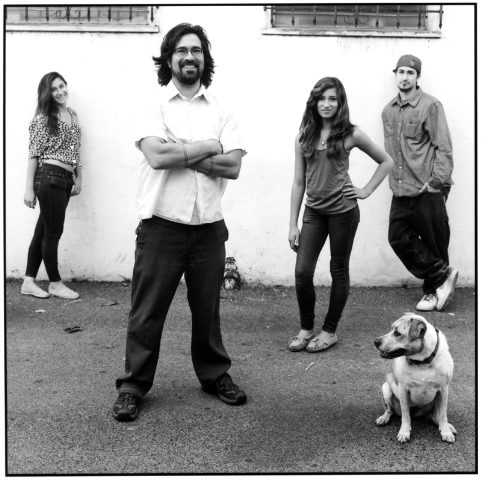 The Microcosm Interview with Tomas from the Rad Dad Zine! 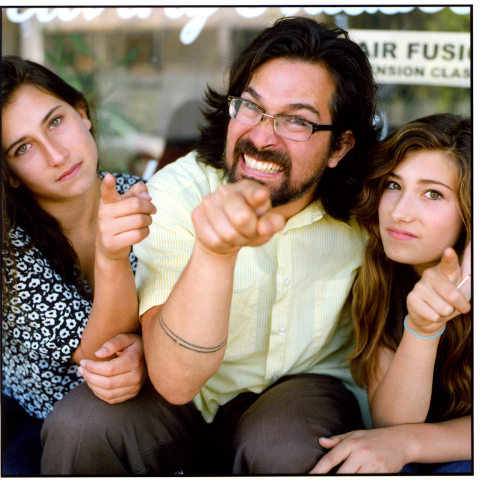 We recently talked with Tomas Moniz from Rad Dad about zines, zines, and zines! Tomas’ super awesome new issue is now out and you can wrangle that here. This is what he told us. A: It’s a zine about how we all can parent in conscientious ways, how whether we are parents or not we can foster communities that are multigenerational and supportive of children. It’s also a zine that strives to challenge the mainstream representation of fathers and parenting in general parenting does not equal mothering. And simple being a father doesn’t mean you are rad. Parenting is also not a white middle class, hetero experience. Rad Dad works hard to present the diversity of parenting from young parents, to parents of color, to anarchist parents. Q: Tell us about the new issue; what can people expect? Q: What do your kids think of Rad Dad? A: They actually read every issue before I print it, threaten to write their own version of the zine “Bad Dad,” and when they come to readings they generally heckle me non-stop. But they are totally supportive. Q: If the President of the United States asked you to sum up Rad Dad in less than 10 words what would you say? A: I’d scold him: white parents need to take responsibility for racism, unlike his admonishment of black parents in his famous speech on race. Q: If your first grade teacher asked you to sum up Rad Dad in less than 10 words what would you say? Q: If Osama Bin Laden asked you to sum up Rad Dad in less than 10 words what would you say? got a copy of it? Q: Who are your three favorite zines and why? Q: What’s next for Rad Dad? Our new DIY book, How and Why, is on Kickstarter! We’re reaching out to you because you’ve all been very supportive of us over the last fifteen years. Thanks again for helping make so many things happen. These projects mean a lot to us, and it’s always heartening to hear they mean something to other people, too. It’s been extremely cool to connect with so many rad people in recent years. Thanks for being out there and doing what you do! If you’re into what we’re doing, it would help a lot if you could spread the word via email, facebook, twitter, yelling on street corners, or whatever comes naturally to you. Thanks a lot! And do stay in touch. P.S. We don’t plan on using Kickstarter for every new book that we release. We really try to only use it when we have to but it’s been a rough year, so of course we respond by trying to do a lot of stuff that we think is awesome! Sarah Royal spent some time working in a Chicago book bindery. From the get-go, she dispels any of our illusions of book-making fantasy, “It’s a glorified Kinko’s…” and gives us a guided tour of her work and co-workers. It’s funny—especially the snippets of dialog, and it’s full of beautiful photos of the bindery. Sometimes the humor is at the expense of her co-workers, or those in the bindery’s hilariously out-of-control neighborhood. So if you like stories about quirky employees interacting, or killing time on the clock, then this zine is for you!